﻿ Cristiano Ronaldo: "Real Madrid is like my second family"
04.12.2014 » Cristiano Ronaldo: "Real Madrid is like my second family"
Cristiano Ronaldo: "The team is playing with great confidence and right now, we just want to continue in this path. This is the best dressing room where I've been in over the last years...", started by remarking the 29-year old, who is now undergoing his 6th season as a Real Madrid player and where he has seen his influence within the team growing year after year. In this 6-year period, Ronaldo also had the opportunity of working with 3 different coaches: Manuel Pellegrini (from 2009 to 2010), José Mourinho (2010 to 2013) and lastly Carlo Ancelotti (from 2013	to the present). Cristiano Ronaldo: "We often hear people saying that this is the best Real Madrid team in decades, but in my opinion, that's something we should only judge at the end of each season. It will all depend on whether or not the team succeeds in winning the important trophies we're fighting for. However, and at least for the moment being, we're on a great form and already on a 17-game winning streak", commented the former Manchester United player. It's no secret that one of the keys for success in any team sports has always been the relationship players have with each other, both inside and outside a dressing room. 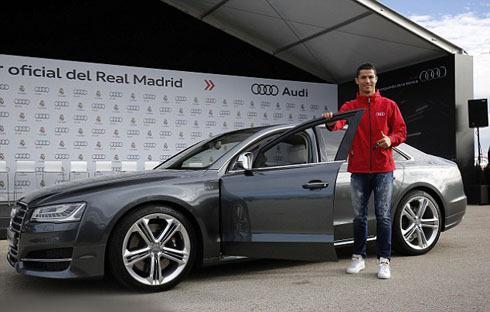 Ronaldo seems to be delighted with the way things are going on in the club and during this Audi promotional event, he quite simply didn't get tired of mentioning how he feels about it. 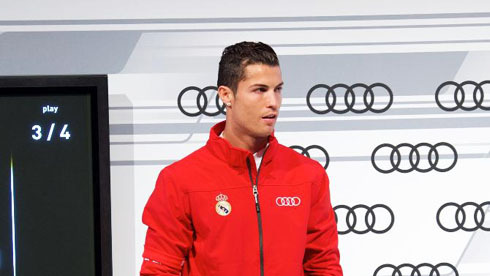 Ronaldo: "Real Madrid is like a second family to me. We're spending a lot of time together and we're working hard day after day. I'm trully happy with the teammates I have around me and what I can say is that they've all been phenomenal so far. And of course, the coaching staff is also tremendously important for building the great chemistry we have going on in the dressing room", stated the FIFA Ballon d'Or 2014 candidate. 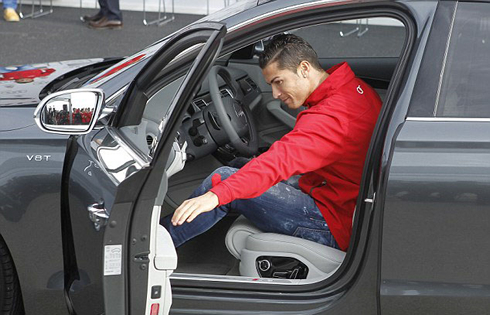 Cristiano Ronaldo next game will be for the Spanish League against Celta de Vigo, next Saturday, December 6. You can watch Juventus live stream, Real Madrid vs Celta Vigo, Liverpool vs Sunderland, Newcastle vs Chelsea, Stoke vs Arsenal, and Borussia Dortmund vs Hoffenheim, all matches provided from our football live game pages.